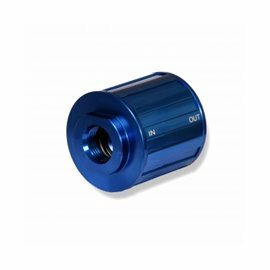 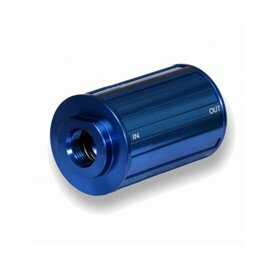 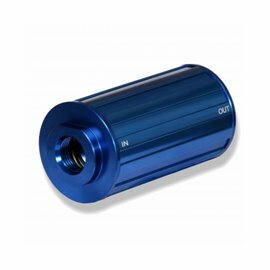 Fits all 2″ OD x 5-1/2″ long ORB-10 filter housings. 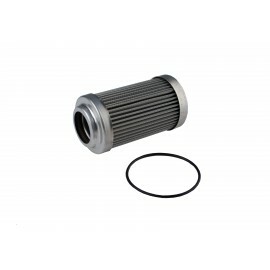 Suitable as a pre-filter for fuel pumps up to 2.5 GPM with gasoline, diesel, ethanol and methanol fuels. 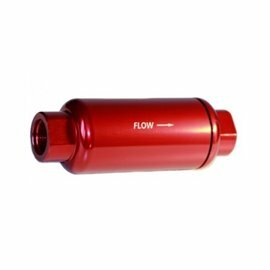 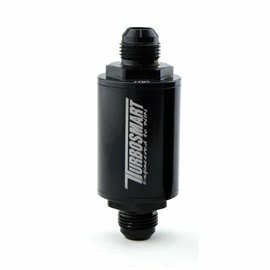 Suitable as a post-filter for electric and mechanical fuel pumps up to 16 GPM with gasoline, diesel, ethanol and methanol fuels. 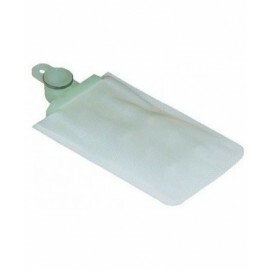 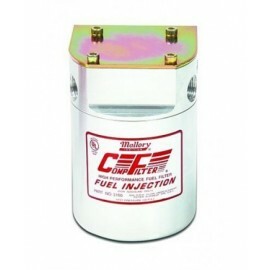 Suitable for use on the pressure side of a fuel pump only, with gasoline and diesel based fuels. 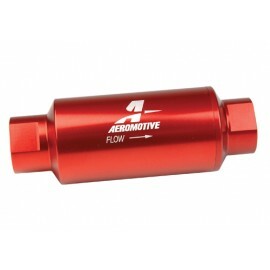 Not for use with alcohol based fuels including ethanol (more than 10%) and methanol. 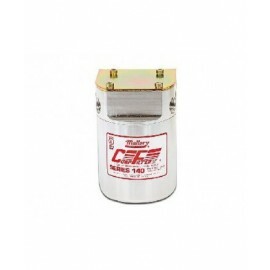 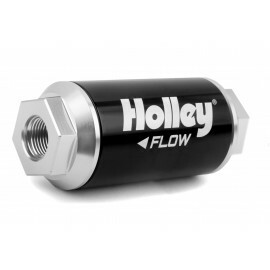 Holley chrome carbureted fuel filters are designed to be installed between the fuel pump and carburetor. 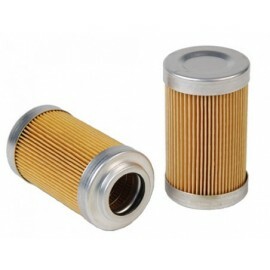 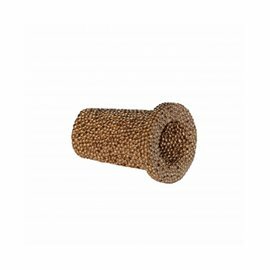 A dirty fuel filter can cause many drivability issues such as low fuel pressure, loss of power, poor fuel mileage and carburetor flooding. 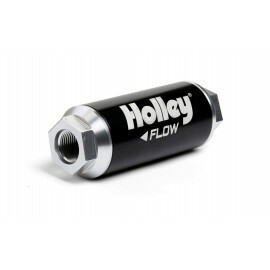 Ensure you keep your ride in top shape with a new fuel filter from Holley. 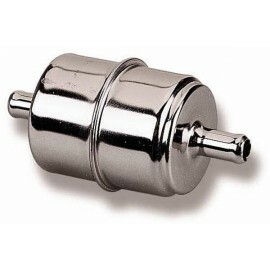 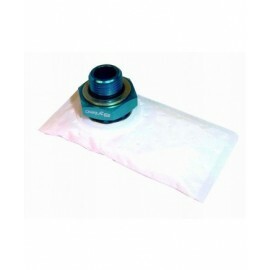 Moraine fuel inlet filters are brass and fits Holley 4 bbl carburetors with center hung style street fuel bowls. 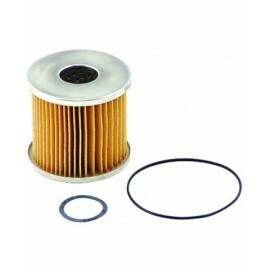 They are also a replacement for stock Rochester Quadra-Jet carburetors. 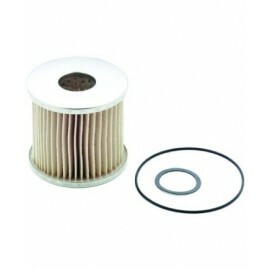 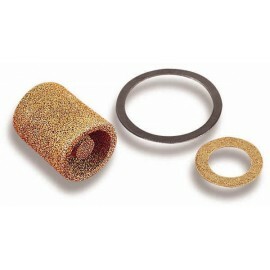 The 162-500 fuel filter comes 2 per package. 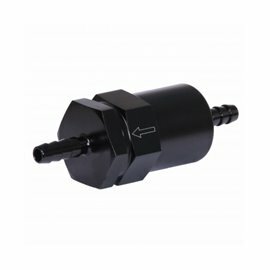 ***New springs are included (not shown). 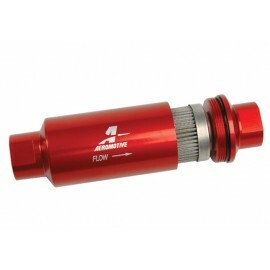 1.75" OD (45mm) and 3.825" (97mm) Long with AN-10 male inlet and outlet fittings. 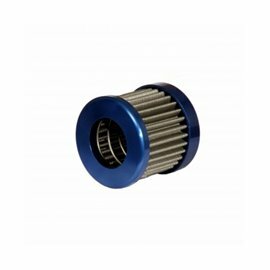 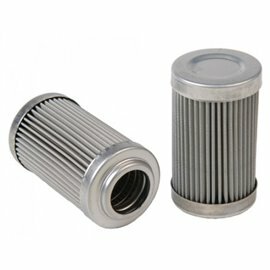 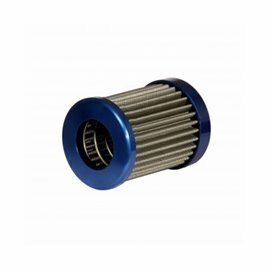 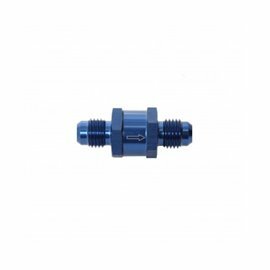 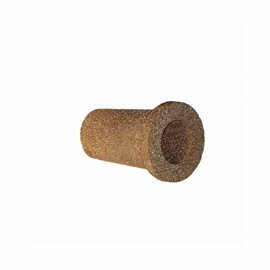 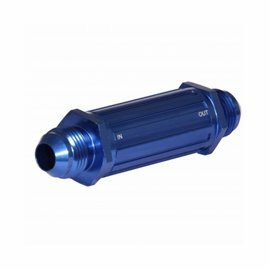 Come with 10 micron washable stainless steel mesh cartridge filter. 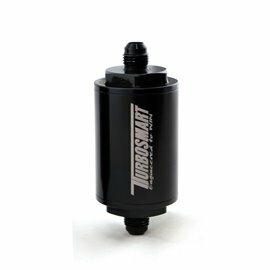 Anodized black. 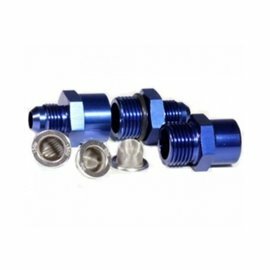 1.75" OD (45mm) and 3.825" (97mm) Long with AN-6 male inlet and outlet fittings. 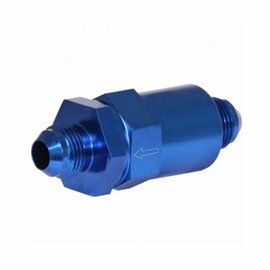 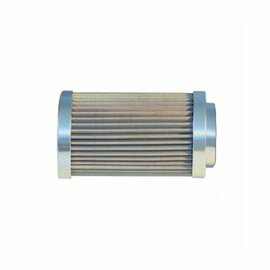 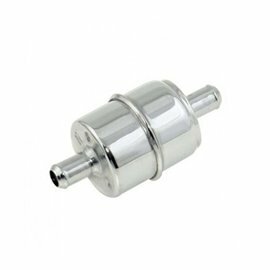 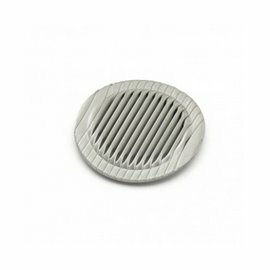 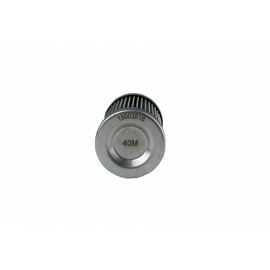 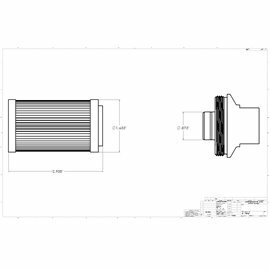 Come with 10 micron washable stainless steel mesh cartridge filter. 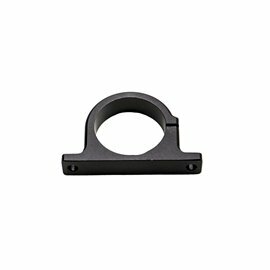 Anodized black. 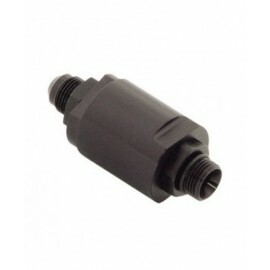 1.75" OD (45mm) and 3.825" (97mm) Long with AN-8 male inlet and outlet fittings. 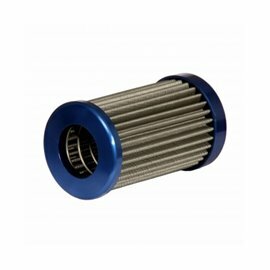 Come with 10 micron washable stainless steel mesh cartridge filter. 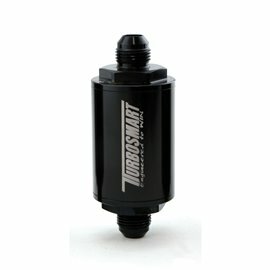 Anodized black.